Dave Arnold, who is a co-owner Existing Conditions bar in New York City — and does a few other things. On Wednesday, April 17, Dave Arnold is visiting Houston to host a cocktail takeover at UB Preserv from 9 p.m. to 2 a.m. as part of the inaugural Southern Smoke Spring event series, which is raising funds for the Southern Smoke Foundation. It is Arnold’s first appearance in Houston — and hopefully not the last. Arnold is one of the most interesting and accomplished food and beverage professionals in the United States. 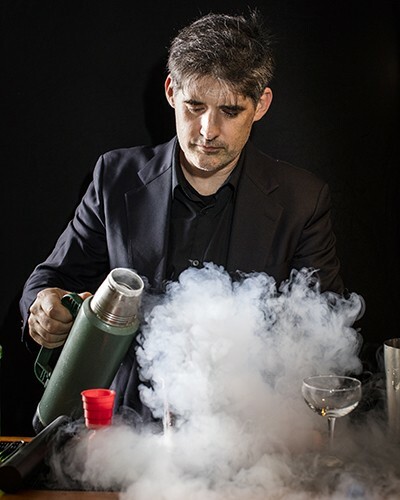 For most of his professional career, he’s worked to develop groundbreaking technical advances in food and beverage preparations and share that knowledge with industry professionals and laypeople alike. Hospitality professionals usually pick a role and work their way up the career ladder from there: from cook to chef, bartender to bar manager, teacher’s assistant to culinary instructor and the like. However, Arnold, a co-owner of Existing Conditions bar in New York City, manages to keep one foot planted firmly in mixed beverage territory and another in the food world. 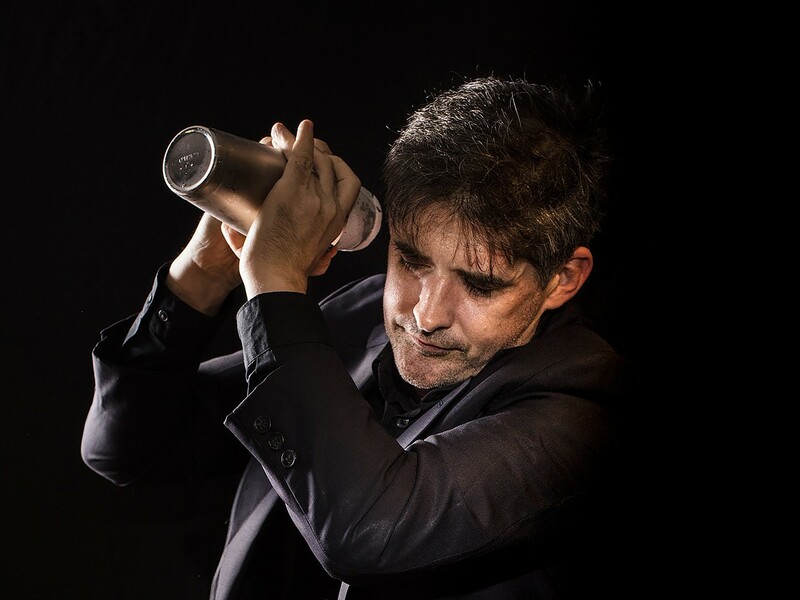 The New York Times called him an “avant-garde cocktail master”. Esquire said he was an “enabler” of “chefs who rely on science to push the boundaries of cooking.” Neither description is incorrect. Dave Arnold of Booker & Dax and Existing Conditions. Photo by Eric Medsker. That said, his path to becoming a respected bar owner and culinary expert initially meandered through several other disciplines. After graduating with a bachelor’s in philosophy from Yale University and a master of fine arts in Performance Sculpture from Columbia, he worked as a paralegal, performance artist and pizza delivery guy. Then, he had the notion of opening a food and drink museum — the first step on a path that led to success in many aspects of the culinary world. It also led Arnold to some new opportunities. He’d been experimenting with culinary technology and writing about it for Food Arts magazine (which, sadly, shuttered in 2014 after a 25-year publishing run). One of the owners recommended he look into the new technology program at French Culinary Institute, which is now the International Culinary Center. While there, Arnold and David Chang of Momofuku struck up a friendship, which led to a mutual endeavor called Booker & Dax. While many knew it as a bar in New York, Booker & Dax started as an equipment company for developing and selling two kitchen devices: the Searzall and the Spinzall. Anyone who has ever applied a blowtorch to a dish that benefits from a finishing sear, such as crème brûlée, knows the kind of careful finessing it takes to evenly brown a surface. Arnold developed the Searzall as an affordable device to make such tasks easier, even for home cooks. Arnold’s interests in cocktails led to the Spinzall, a centrifuge geared for home and bar use. Centrifuges rotate ingredients at high speeds, separating solids from liquids. A common culinary use is to create clear lime juice with nary a trace of pulp for cocktails. (One of the more mind-blowing things people can do with a centrifuge is make clear tomato juice, aka “tomato water,” then use it for a Bloody Mary-like cocktail that preserves the taste, but without the thick texture). The bar, Booker & Dax, came about as a real-world proof of concept for the cocktail applications of the Spinzall and Searzall. “We’d done so many techniques for the bar — which weren’t really being used — and I was doing lecturing on the bar circuit, so we opened Booker & Dax,” Arnold explained. The cocktail bar, located in the back of Momofuku Ssäm Bar, became not only a New York hotspot but one beloved by critics and industry professionals who were intrigued — and hopefully learning from — the drink wizardry on display. Liquid Intelligence won a James Beard Award in 2015. At some point, Arnold plans a food-related follow-up. “I’m hoping by the time I finally write my next book that people will still want it, even though it’s not about cocktails,” said Arnold with a laugh. 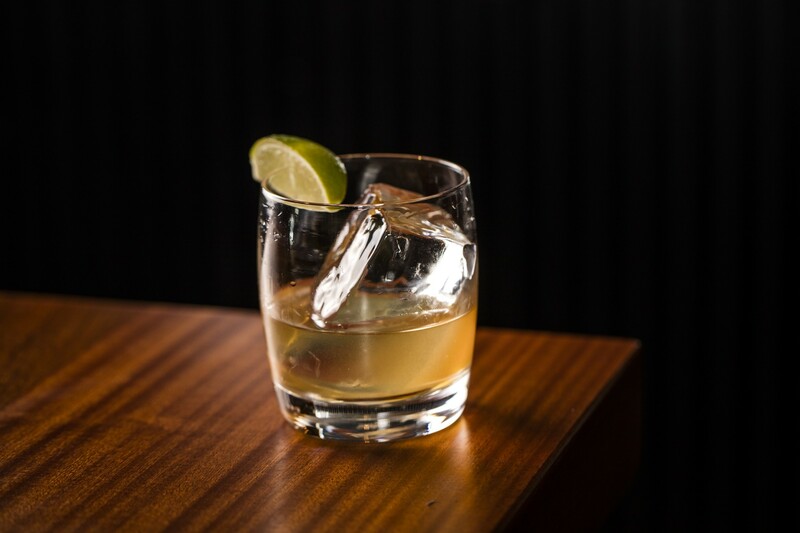 One of Existing Conditions most popular cocktails, the Banana Justino, a clarified blend of banana, rum and lime juice served over a coconut water ice cube. Photo by Eric Medsker. 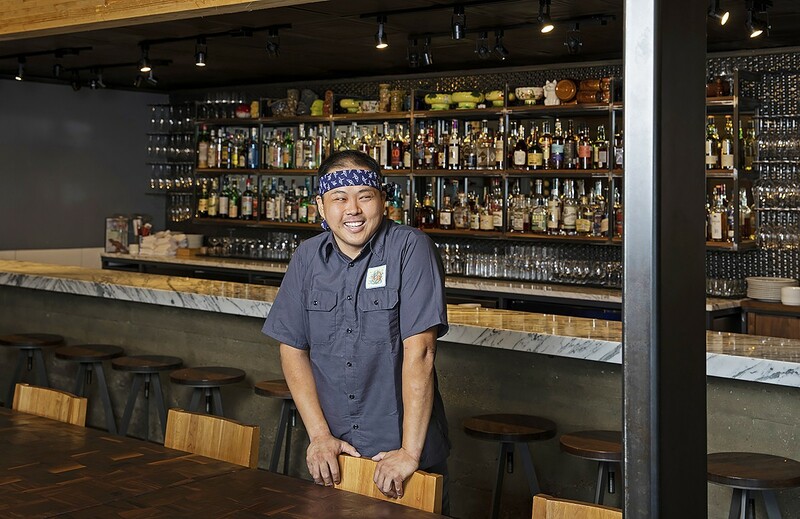 Booker & Dax closed in 2016, seemingly a casualty of Ssäm Bar’s expansion. The equipment business with the same name lives on as a website. Chef de cuisine Nick Wong of UB Preserve. Photo by Julie Soefer. The drink list is still being developed, but those who manage to score a seat at Arnold’s takeover at UB Preserv are going to see some of the cocktail techniques he’s developed on display. “We’re still talking about it [with spirits director Westin Galleymore]. I’m doing most of the stuff around the Spinzall, so it’s all going to be something that’s had some clarification done to it.” Some of the other cocktail techniques that Arnold has developed or perfected (which may or may not be on display at UB Preserv) include carbonation, liquid nitrogen chilling, red-hot pokers (to caramelize sugars in hot drinks, such as hot buttered rum), aeration using differently sized ice cubes and rapid infusions.